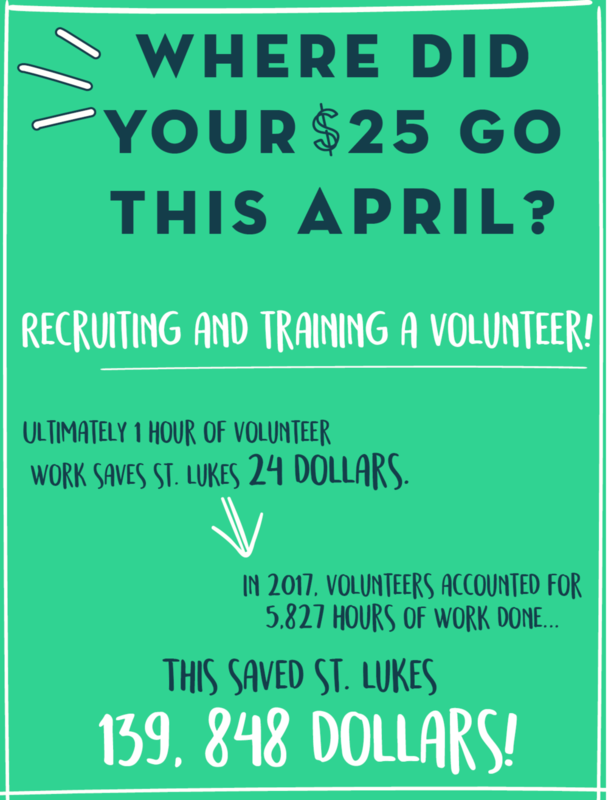 April is volunteer appreciation month!! Our organization is powered by volunteers THat keep the wheels turning day after day. Our volunteers work in the food bank, organizing food, taking inventory, and putting together food boxes for clients. Our food bank is open five days a week and is fully staffed by volunteers. Our volunteers drive mobile meals routes, brightening a neighbor who is home bound or otherwise unable to have access to nutritious food. Our mobile meals routes drive 5 days a week and are fully staffed by volunteers. Our volunteers come in for the entirety of tax season, offering free tax prep through VITA and helping our neighbors stay on top of their finances. Our VITA appointments are three days a week and are fully staffed by volunteers. Our volunteers aid in both the preschool and the library. They read to our children and give much needed relief and diverse activity for the teachers. Our volunteers help put on our Trunk or Treat and Haunted House Halloween event. In 2018, 275 community members attended this event. Over half of them went through the haunted house, which is designed, set up, and executed entirely by volunteers. Out volunteers makes our Christmas Toy Store possible every year, helping our clients to shop, wrapping gifts, and organizing our shelves. in 2018, 116 families including 307 children were served through our Toy Store. Aside from all of the regular volunteer opportunities across campus, we constantly have volunteer groups coming through campus to help us with projects that we simply don’t have the staff to get through. This can include anything from sorting gifts for senior bingo, cleaning up spaces on campus, or helping with an event we have coming up. Join our Monthly Giving Society for monthly insights into where your donations go and how St. Luke’s thrives.